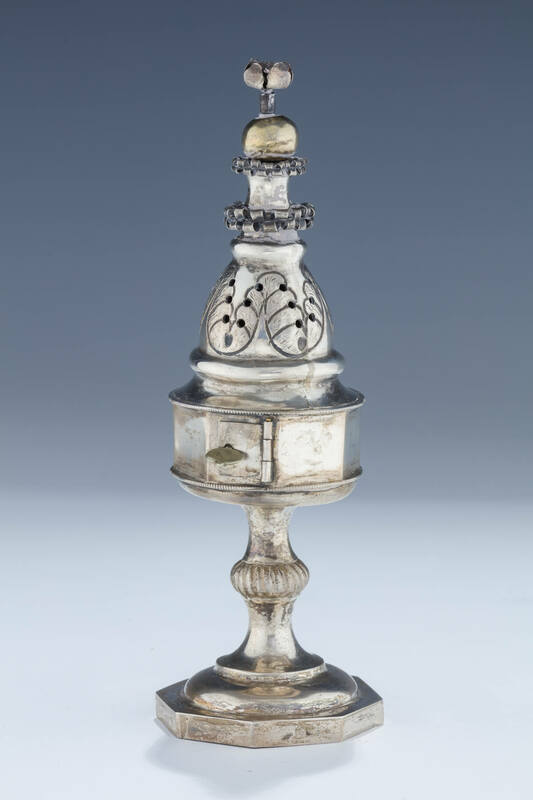 A SILVER SPICE CONTAINER. Poland, c. 1810. On octagonal base and knobbed stem. Main middle section octogonal with beaded rim. Upper portion pierced and decorated with acanthus leaf design and a flower. 7” tall.